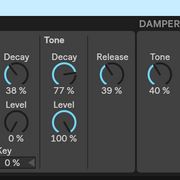 On its own a chord device works without a problem but when inside a midi effect rack it often mistriggers playing only one note from the chord. It happens often when playing notes that are overlapping. Any idea how to fix that? Did you make sure you're not exceeding the voice count of the instrument? That looks a bit off indeed, which devices make up the midi chain? I've no idea if this is intentional but it's been this way for a long time. Chord chokes all notes when it receives a note that's the same as one of its Shift note dials. e.g. 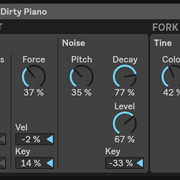 Add a Chord device and set one of its Shift dials to +5. Now hold C3 and play G2. As C3 and G2 are a 5th apart, the G2 will stop the C3 and its added 5th - my guess is this is what you're experiencing. 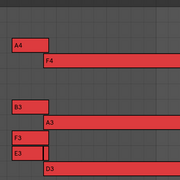 So it's only a midi effect rack full of chord devices that are mapped to a scale. 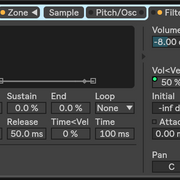 After that, the midi effect rack goes to an instrument. Oh, I see...I think it would be nice to have a button that toggles between retriggering and intelligently holding a voice when its already playing (I hope that is you mean?) that would be great. 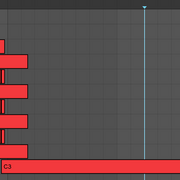 But my problem is that sometimes, some overlapping voices are being cut off to a 1/64th length.